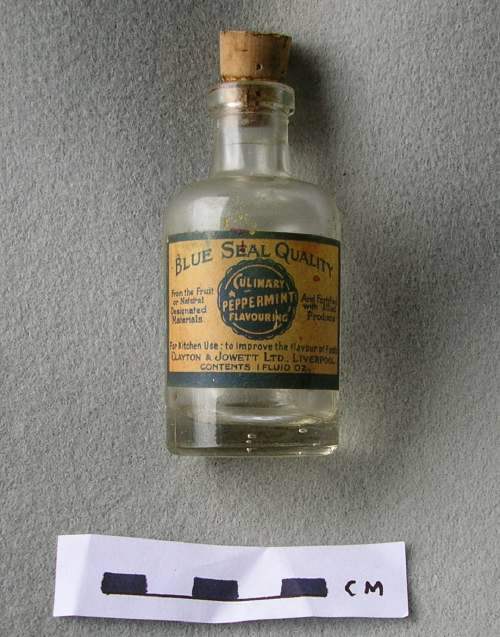 Small glass bottle with cork stopper, labelled "Blue Seal Quality Culinary peppermint flavouring". Label printed in blue on cream (now dirty and discoloured). Made by Clayton & Jowett Ltd, Liverpool, 1 fluid oz. Still smells of peppermint.